We have identified over 350 HorizAL Portalier prospects, (all successful independent businesses in their own right), nationwide throughout 104 UK post-code areas in order to try to partner with the best companies out there, in order to guarantee the excellent standard of service that we have always offered ourselves. This is critical to our success, because a high quality product needs to be delivered by a high-quality company. Our eventual aim is that across the UK, HorizAL is the first brand thought of when someone is considering buying a Gate. The “HorizAL Regional Portalier” must be a Registered Company within the Gate industry / sector. Their company must have the professional qualifications necessary to provide services in conformity with standard industry practices. They would be offered Product / Sales Training (incl. any staff members also), both at our headquarters & in-house, to demonstrate the necessary skills to advise customers, provide after-sales & perform repairs on product sold. This was used to gain the initial interest of a potential “UK Portalier”. 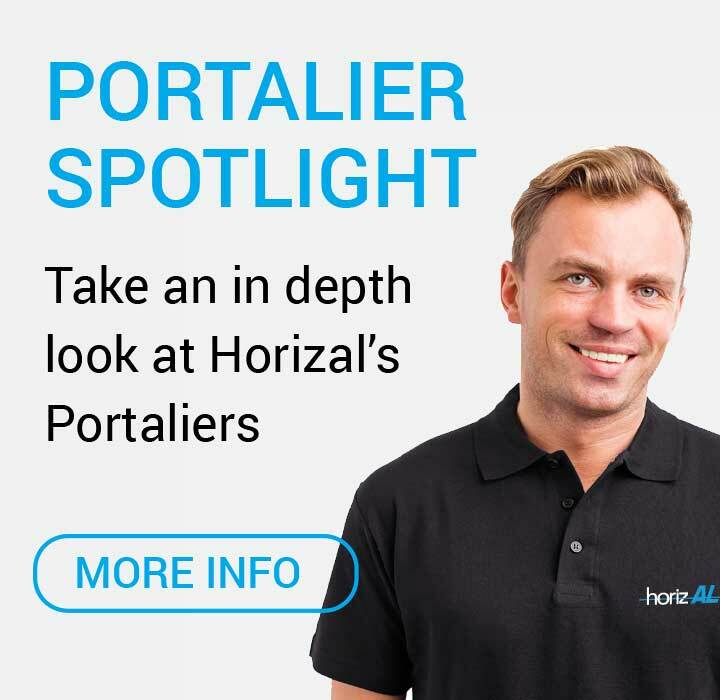 Individual “Portalier” page on the HorizAL master website, to showcase in front of customers. 250 full colour HorizAL brochures with their Company Name, Logo & contact details. 250 HorizAL “Portalier” business cards. 2 Sample Gates (in padded protective bags). Full on-going help & support for Sales, Marketing & Installation Training. Approval Drawings (CAD) to be signed off by the “Portalier” & the customer prior to manufacture. Delivery to site of each order at a pre-arranged date & time. On-Site Installation Training on the first delivery. Fast turnaround on all Quotations & Telephone Support. Full marketing support / partnership campaigns to raise “HorizAL” brand awareness incl. Local Press Releases, PR Work etc. to promote them as a Regional “Portalier” in their area. Full design management of your Microsite linked to the main HorizAL Master Website. Enquiries directed to their own exclusive geographical area. Our ultimate aim is that anyone ordering an HorizAL product, anywhere throughout the UK, can do so with absolute peace of mind. Interested in becoming a UK Portalier? Please call 0161 406 5910 and we can take you through the application process.